Sorry, Dash Command does not do ABS and it's the only one with cam sensor retard that I have verified works on a 1996 Blazer. Car Gauge Pro will do lots of ABS stuff on CAN protocol Fords (2006+) and even reads wheel speeds, etc, but only reads/clears ABS codes on GM and will not do GM enhanced PIDs at all on 1996/97 Blazers. Once you hit 1998, Car Gauge Pro does the most for a phone app on a Blazer. But with Car Gauge Pro when you hit 2006 you are done with GM enhanced PIDs (but not with Ford). It's really kind of a crap shoot and very confusing between different make/models/years on the phone apps. Dash Command gets around this by selling you PIDs for your specific vehicle from inside the app once you have connected, but they don't do ABS. Doubt if one app is going to work for everything you throw at it. Fortunately, they are really cheap once you have the Bluetooth OBD2 adapter. Point is that you may find that a different app works best with your wife's car. I have Dash Command, Car Gauge Pro, Torque Pro, Scan XL Pro (windows), and HP Tuners VCM scanner (windows) - each one has it's benefits. As for Hand-held scanners, I really don't have a recommendation since I have little experience with them. Depending on the cost, maybe you will want to get a scanner like the one you borrowed. Gotta remember that the communication protocols on Ford, GM, and Chysler are not all the same, and have changed over the years. Since 2006 they have all now standardized on CAN protocol, but each manufacturer's enhanced PIDs are not standardized and can even vary from year to year. 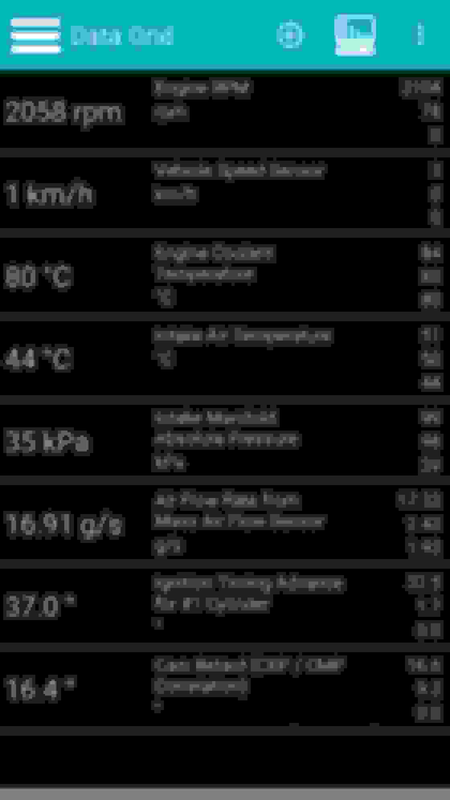 As an example, Dash Command is the only phone app I have that will do enhanced PIDs on my 2006 Pontiac G6 GTP (first year of CAN protocol). Car Gauge Pro will connect to it in generic mode only. Torque Pro will not connect at all. This is all through the same OBD2 adapter and phone. The Windows software has no problem with the G6, but it's $150+ software. I believe that even newer GM vehicles have yet another OBD2 hurdle, but I'm not up on that. Remember, the car manufacturers have no motivation to make their enhanced PIDs work with any equipment other than their own. If an outside manufacturer of equipment or software wants them, the enhanced PIDs are for sale. I believe this is why some software/apps (Dash Command) charges you extra for them. The ones that don't charge you, apparently have figured out enough of them to be useful (Car Gauge Pro, Torque Pro, etc) - at least on certain vehicles. Yep, slotting the bracket or replacing with a small block chevy distributor hold down was what I was going to suggest - but only if you can read cam sensor retard. Once you have an adjustable distributor, just monitor cam sensor retard while turning the distributor. Be sure to rev it above 2000 and back to idle before doing a final read on the cam sensor retard. If your SES light is off, you're not feeling any misfires, and you want to know if you need a CASE relearn - then monitor the misfire counters on a scanner while pulling plug wires. Counter should increase rapidly for the disconnected cylinder. If it does this, then misfire detection is working fine and there is really no need or advantage to doing a CASE relearn. Last edited by LesMyer; 04-08-2019 at 09:07 AM. Thanks for all the info!!! Really appreciate it!!! The one I used was pretty extensive and had the ability to be ugdated. I would love to buy one like the scanner I borrowed, but it looks like it maybe little out of my price range. I will let you know once I order me a scanner or I'll just give in and borrow it again. The SES light has gone away and I don't notice a miss anymore! I should be able to get a hold down relatively easy. Thanks again, I will pop back in once I have an update. Please let us know how you end up. We always like to know! How can I tell if I have a L35 or a LF6 engine? Engine light came back on today, but scanner is supposed to arrive tomorrow atleast! Last edited by nemesisinfinity; 04-09-2019 at 01:19 PM. Alright, lets get that Cam sensor retard adjusted to zero and then we can work on any other problems that are still there. Is this Blue Driver on your phone? Guess the blue bar at the top tricked me - Dash Command is black on my phone, and it seemed like the high and low values were labeled as such. Is this the Android or the iPhone version? I couldn't get mine 6° turned with the factory clamp on a new distributor. But you can take grinder to the bolt hole and elongate it to give a little turn. Unfortunately, most clamp modification or clamp removal operations require the distributor to be removed. 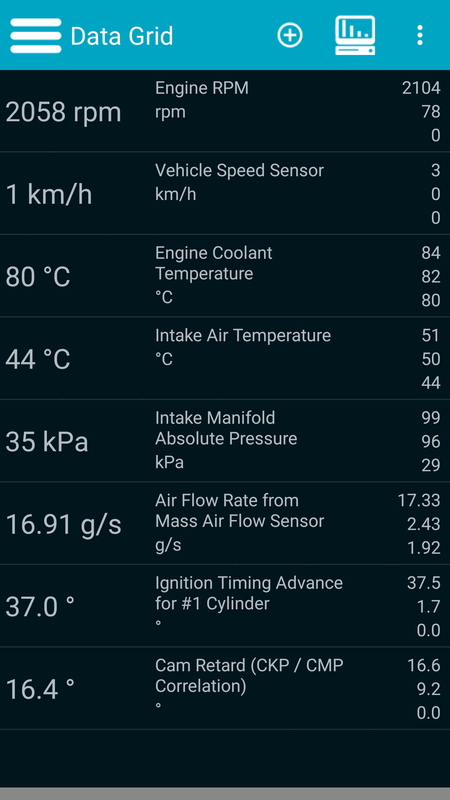 On a side note.... Now that you have the BAFX OBD2 adapter, if you are doing Android you should be able to use Car Gauge Pro to (at least) read/clear the ABS codes on your wife's car (if not more). What car does she have? It doesn't hurt to have more than one OBD2 software available to you and Car Gauge Pro is pretty cheap. Last edited by LesMyer; 04-11-2019 at 02:38 PM. I'll grab that app as well!!!! I do have the old engine that I could maybe modify it's hold down to be the way I want? I assume it would involve grinding off the 2 "prongs" that go around the distributor shaft? I was reading that the cam retard is connected to my injectors pulsing, so could this give me a code relating to my o2 sensors and fuel trim? Just remember that Car Gauge Pro is unfiltered - so everything that appears there does not work. Just Connect/Ford/Scan All Faults or Connect/Ford/Clear All Faults for the basic ABS code functions (and other things too). You can try the ABS module instead of the All Faults choices and might get some Ford ABS PIDs to work, but I'm not sure about 2003. The ABS module and some PIDs worked on my 2008 Ford Ranger, but it was CAN protocol and this is different from your 2003 Escape. Just try it and see. If it doesn't work at all for you, just email the developer right away and he will refund you. Let me know. Yes you can grind the prongs so you can turn the distributor, but difficult to get it off the distributor unless it's removed from the engine. Actually that's what I did to mine instead of the bolt hole thing (but other people seem to prefer the bolt hole method). The PCM does use the position from the cam sensor to sequentially pulse the injectors. I have never heard of cam sensor retard being off causing O2 sensor codes, but I suppose it is possible since yours is off quite a bit more than is usually seen. This is why I suggested that we fix the cam sensor retard before worrying about anything else.